Ready for more adventures? 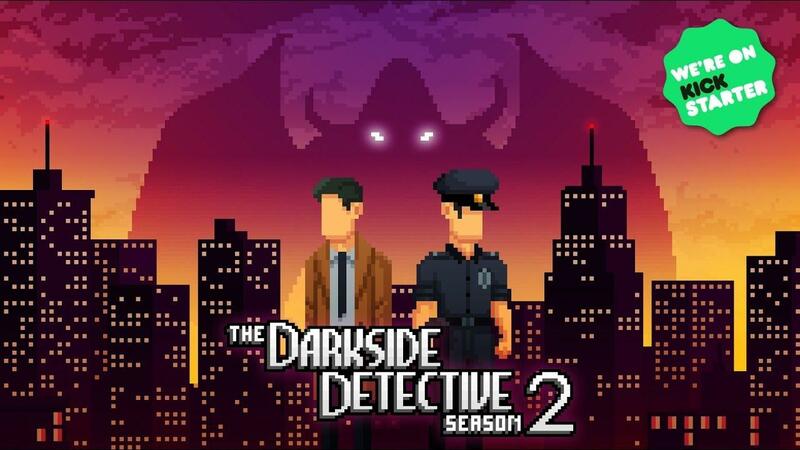 The Darkside Detective: Season 2 will follow on from the original and it's currently on Kickstarter. The good thing is, it's made in such a way so that you don't actually need to have played the first season to enjoy it. Which is good to know! Naturally, Linux is a confirmed platform for the release. They're seeking to get at least €35K on Kickstarter, with a nice €15K already pledged. They have plenty of time left to hit this goal too, since their campaign won't end for another 25 days. The original (which also has Linux support) seemed to have positive reception, so hopefully this second season will be just as good. If you don't own the original, you can grab it from Humble Store which includes both a DRM free copy and Steam key. The Kickstarter has a special level at €30 to get a copy of both seasons as well. I have no doubt the Kickstarter will succeed based on how much people enjoyed Season 1. Quote ...you can grab it from Humble Store which includes both a GOG and Steam key. Are you sure it's a GOG key and not a DRM-free download directly from Humble? That's how it usually works. I don't see a mention of GOG anywhere. tuubi I have no doubt the Kickstarter will succeed based on how much people enjoyed Season 1. Yeah I had two open, looked at the wrong one. Quite a few on Humble do have GOG keys too updated that bit. First game was fun but a bit simplistic for any point and click veteran. Will probably get it when it comes out though. Good for a lazy afternoon or two. They've reached their goal and are going for a stretch goal extra episode. Two days left to pledge.